Join us for our "Supply Chain Visibility" live demo hosted by Tony Vitulli, Support Manager at SmartSense, where he will give a detailed walkthrough our supply chain solution. SmartSense provides remote monitoring solutions for complete visibility into fleet management. Register now to get a firsthand look at how we enable end-to-end visibility into the supply chain, and see real data gathered by our customers. Find out how our real-time monitoring solutions improve FSMA compliance management with proof of inventory temperature throughout the cold chain. 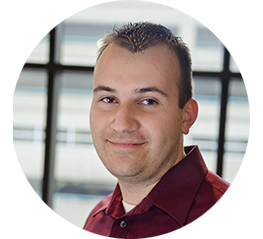 Tony will provide an in-depth view into our solution and how remote monitoring ensures product quality, eases compliance management, and eliminates manual processes. The walkthrough will be a comprehensive overview of our supply chain solution, including sensors and hardware, dashboard views, and automated reporting capabilities. Register now to see it in action!